Haven Hall and Sydney Vance showed COURAGE when they helped a teammate during a time of stress. Model UN members: if you are interested in going to JHUMUNC (we have 18 delegate positions to fill) you need to turn in a form to Mrs. Shaefer TODAY—TUES. November 20th!!!! If you have any questions or concerns about this trip and/or getting your forms in, please come see Mrs. Shaefer ASAP! Current Events Club will meet TODAY, November 20th during Student Choice (1:05-1:30pm) in Mr. Ross’ room. We will discuss the 2018 midterm elections. The annual Upper School Talent Show is coming up, December 7th and we are looking for performers! If this is something that interests you, please fill out the short Google Form below. You will be contacted shortly after about your audition time. Please be sure to fill out the form by 3pm on Thursday, November 29th. Thanks! We look forward to seeing what talent our students have! Project Wrap-In is Coming on December 7th, 2018! It is almost that time of year again! Project Wrap-In is coming soon! To demonstrate Cannon’s commitment to the core values of teamwork and kindness, the student body will participate together as a community in our annual Project Wrap-In on FRIDAY, December 7, 2018. This project is designed to bring the entire Cannon community together in a meaningful service opportunity! Each student in the Lower, Middle, and Upper School is asked to bring in one new, unused gift ($5- $15) to store in homeroom the week of December 3. Students in grades JK- 12th should buy a gift for a child their own approximate age and gender. (Students in grades 8th– 12th may instead buy a gift for a young child of any age with their own gender in mind if they would like; however, keep in mind that children benefiting from this outreach opportunity may also be teens.) 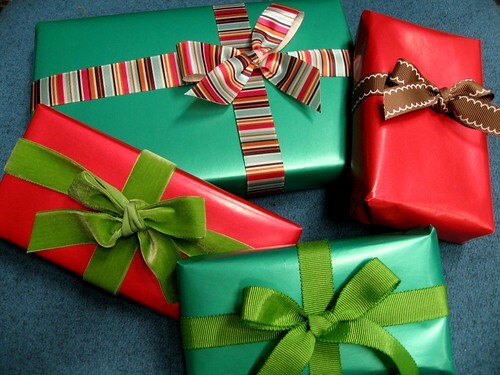 Additionally, students are asked to bring wrapping materials like wrapping paper, tape, ribbon, bows, etc. We are hoping for 100 percent participation in this event and are looking forward to making a difference in the lives of many children! This is a highlight for many students every year, and we hope that you will enjoy it too! Contribute wrapping paper and/or other wrapping supplies like tape. Bring a giving and positive attitude. Seniors, Juniors and Sophomores are invited to sign-up on Family Connection to visit with College Admission Representatives coming to Cannon School. Students must get permission from their classroom teachers prior to attending an admissions event. Log into your Family Connection account to learn more about the colleges, find out visit times and register to attend. Visits will be held in The Cube or College Counseling Offices. Student Life: Our passion is to know our students, create an unforgettable high school experience, celebrate student achievement; and to empower every student to know themselves, own their actions, seek adventure, conquer challenges, lead others, and pursue balance. This entry was posted in Cannon School Upper School, Upper School, Upper School Dean’s Core Values. Bookmark the permalink.